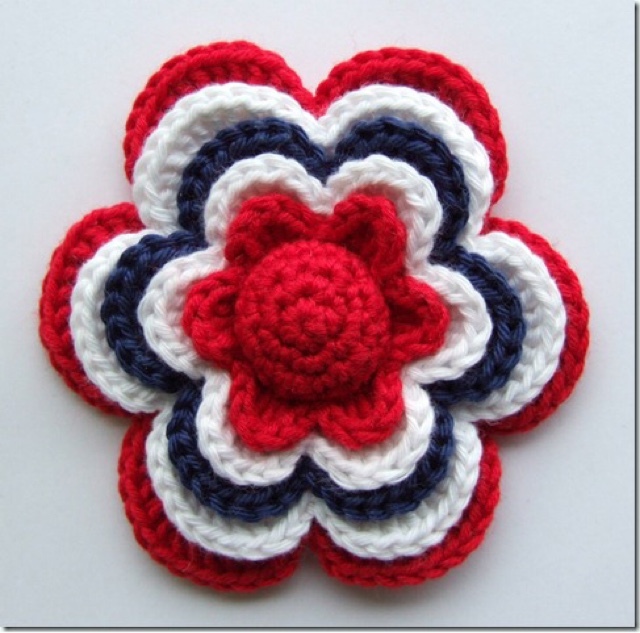 Hi, I have a surprise for you, you might have seen what I have been busy crocheting on these past few days? Well me and *Kio have been busy and are just about ready to show off some of our hard work! You still have time to make these little festive treats so here are some of my free favourites. 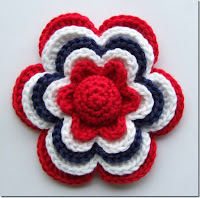 It can be used as a brooch, or a hair piece or a necklace it seems very handy. I like it. 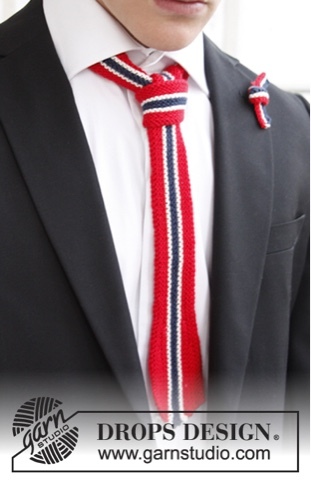 I would love to have one of these in my hair, and I am sure Mister M needs one too. 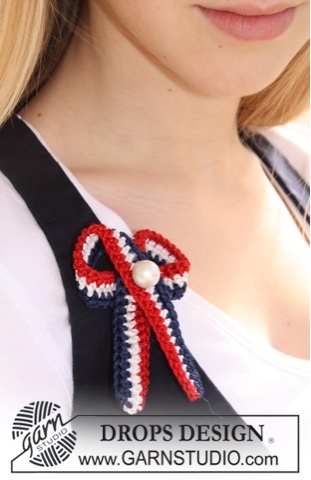 This seems super easy and I think I could make a ton of these very easily, the little pearl in the middle really makes the bow pop. I love it. 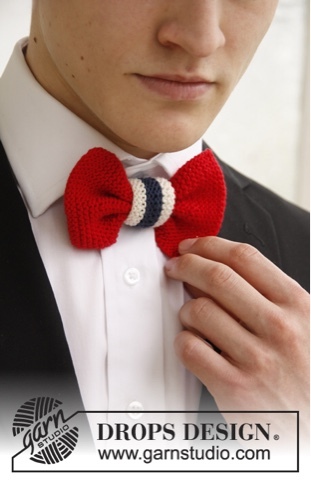 This I am sure Mister M needs. Don't you? I am not sure I could make one by tomorrow as I am not a fast knitter, and I am sure I don't have enough yarn in those colours but next year! And last but not least, *Kio and I have started an adventure which turns into patterns and here is our very first pattern! 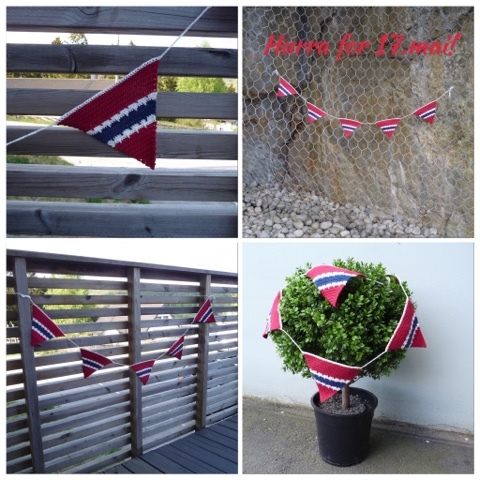 We made a bunting for the festive day and the pattern is free and can be found here in Norwegian and English here.